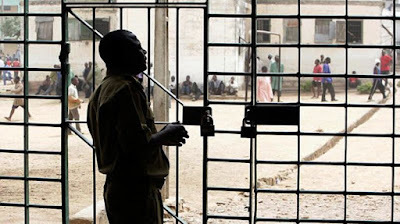 An Iyaganku Chief Magistrates’ Court in Ibadan on Wednesday remanded a sexagenarian, Adegboyega Abiose, in Agodi prison for allegedly causing the death of his brother, Olayinka, by setting him ablaze. Chief Magistrate Abdulateef Adebisi, in his ruling, ordered the remand of the accused pending the receipt of legal advice from the Directorate of Public Prosecution. The court, which did not take the plea of the accused, adjourned till December 5. The accused was arraigned on a two-count charge of causing the death of his brother who was said to be an Ibadan-based legal practitioner. Earlier, the prosecutor, Sunday Fatola, told the court that the accused, who resides at 3, Eleyele road, off Jericho, Ibadan, committed the offence on August 14 at about 8 a.m. at his residence. Mr. Fatola alleged that the accused damaged one Toyota Camry marked FST 468 DD and valued at N2 million belonging to the late Abiose by setting it and the victim ablaze. He said the offence contravened Section 316 and was punishable under Sections 319 and 451 (1) (b) of the Criminal Code Cap 38, Vol. II, Laws of Oyo State, 2000.